Who’s hyped for Chris Young?? The sensational country-pop artist returned in 2019 with his latest record, “Losing Sleep,” and he’s taking it on a journey around the world with the phenomenal Chris Janson!! With further special support acts yet to be announced, they’re headlining the Xfinity Theatre on Saturday 15th June 2019 – it’s a show no fan is going to want to miss out on!! Make sure that’s not you – get your tickets ASAP, before they disappear!! 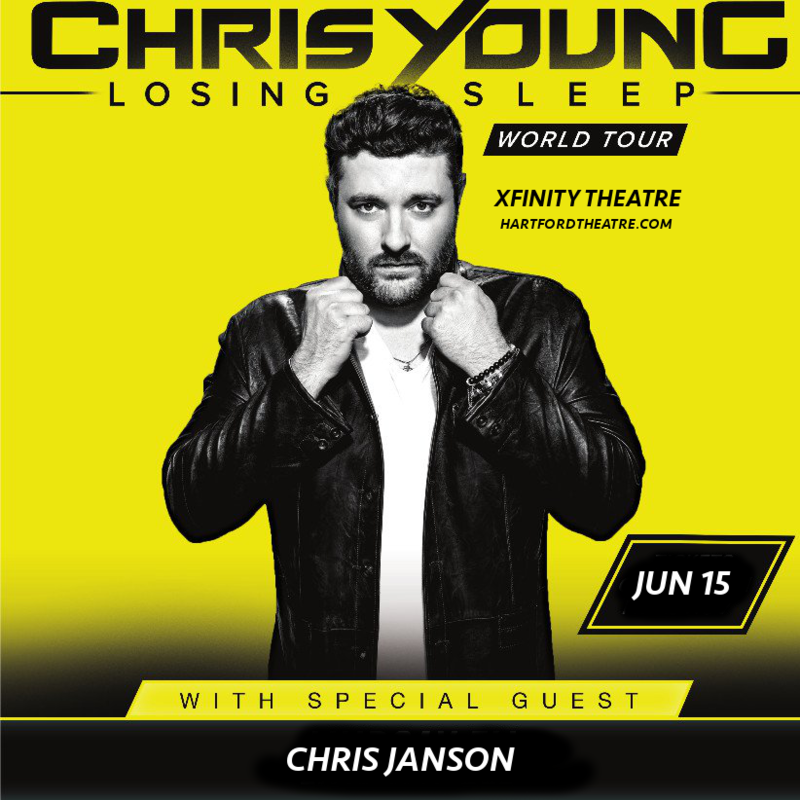 Since winning the Nashville Star television talent show, Chris Young has gone from strength to strength, gradually amassing a series of number one hits from his best-selling albums. His most recent addition, “Losing Sleep,” was released to rave reviews from critics and hit No. 1 on the Top Country Albums chart. It’s the perfect blend – there’s something at this concert for everybody! Have you got those tickets yet?? Hurry, because they aren’t going to wait around for you! !